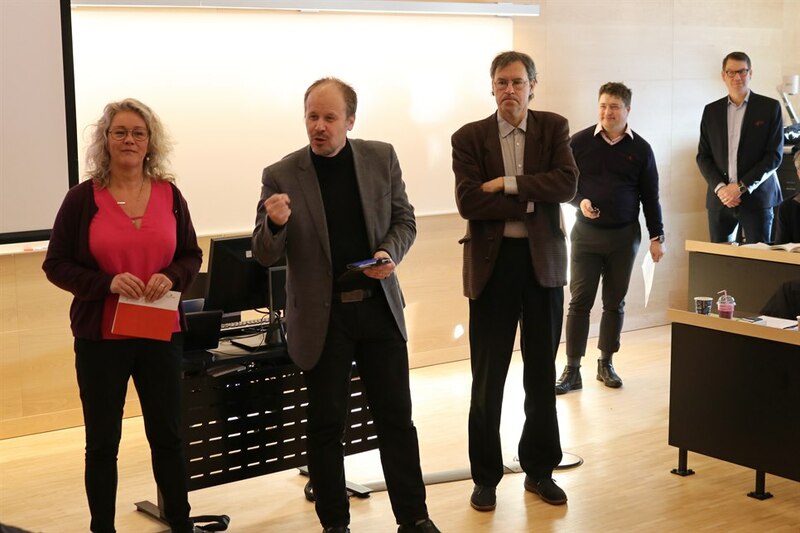 Eva-Marie Blusi Tyberg, Hans-Erik Nilsson and Peter Öhman introduced the day and evaluted results so far. 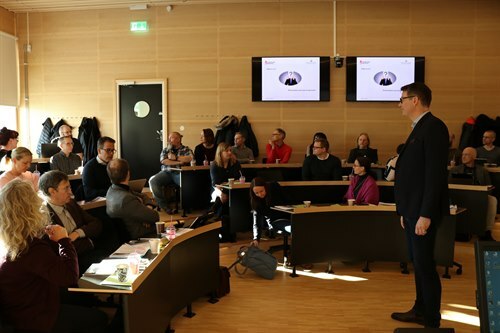 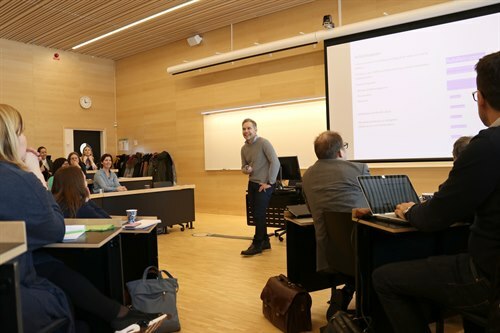 On March 15, 2018, we gathered with partners from Sundsvall municipality to summerize the research projects and prestudies in the cooperation agreement so far. 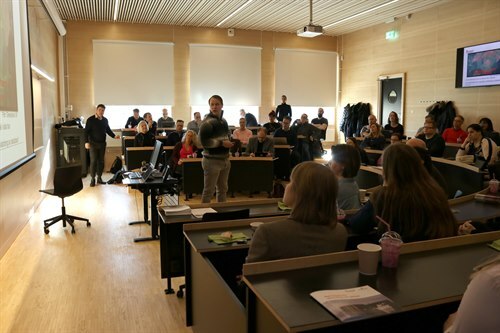 Mattias Andersson presented his study on rest products from the citizens. 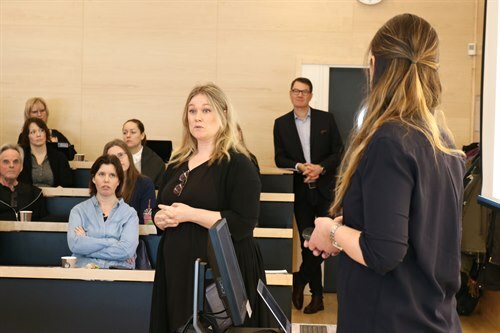 Teresia Edling-Hultgren presented cooperation for competencedevelopment and cooperation with students. 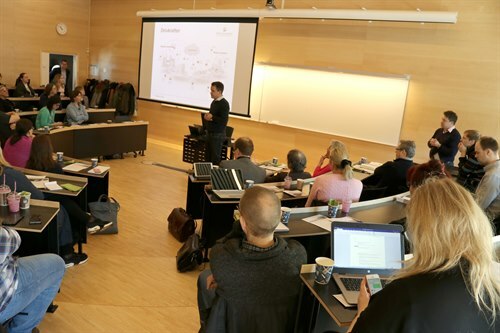 Nicklas Blomquist talked about the new research project DRIVE, electric vehilces for the future and how to charge them. 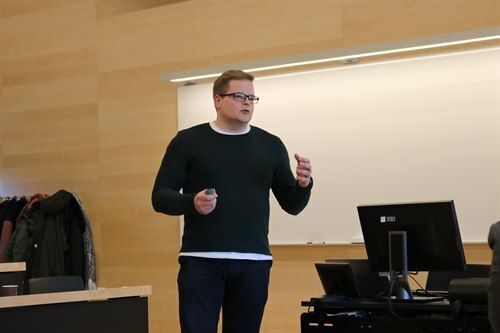 Mattias O'Nils talked about next generation Industrial Internet of Things. 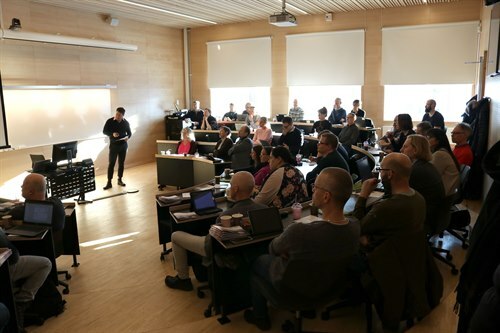 Read about all prestudies in the cooperations agreement with Sundsvall Municipality.